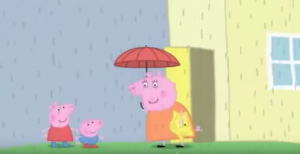 【日本語訳付き】Peppa Pig フレーズ集George Catches a Cold編 | English Culture for Kids! 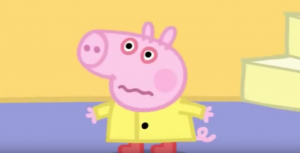 Mommy: Peppa, George, put your rain clothes on. Daddy: Come inside, the rain is too heavy to play now. Mommy: Oh poor little George, you don’t sound well. 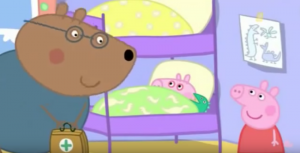 Dr. Brown Bear: Peppa, you are big and brave. Can you show George, how to say ahhh? Dr. Brown Bear: No, but he’s gonna have some nice worm milk at bed time to help him sleep. 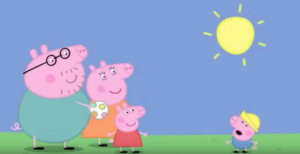 Peppa: It’s so nice and quiet. 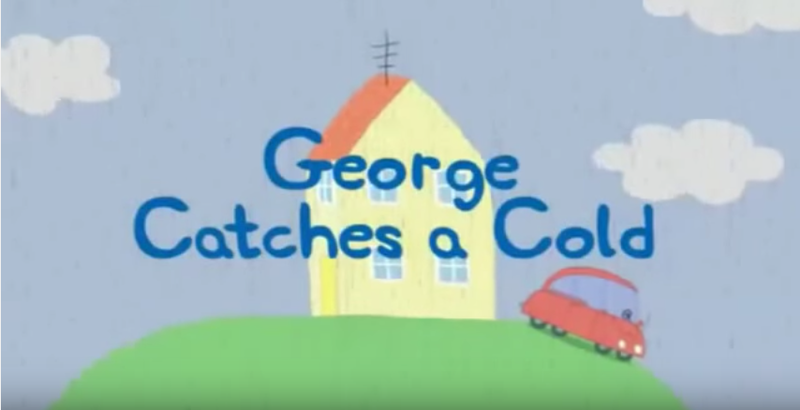 Peppa: George, can you stop saying why all the time?